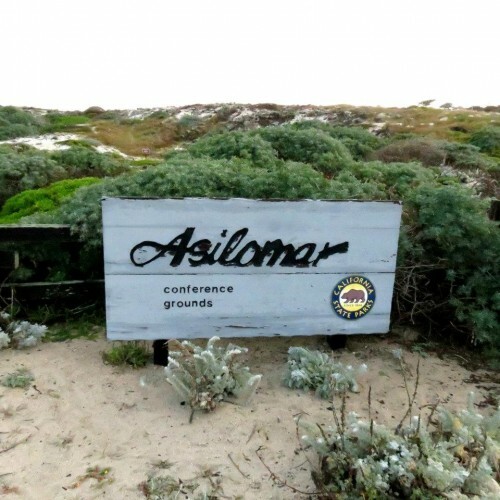 I spent the last week teaching at the Empty Spools Seminars at Asilomar Conference Grounds in Pacific Grove, California. The conference grounds are unbelivably beautiful. So inspirational for quilters. And it’s just about the finest teaching experience anywhere! Five full days with a small group of students. What great fun we had –and now I have 11 new friends. Here’s a photo of our class. Watch for more blog posts about our week! Happy Birthday Bari Lee!!! My sister-in-law, Bari, turned 60 this year and I thought it was time that I made a special quilt, just for her! 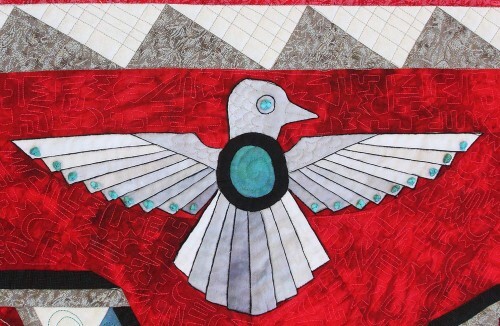 My friends at the American Quilter’s Society have featured me on their Quilt of the Week video. 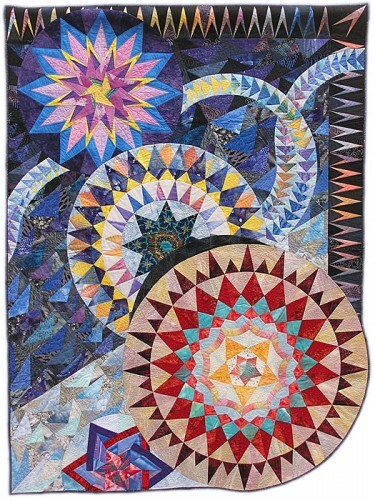 The quilt is Cosmic Parade and it’s one of my favorites. It represents three large stars on parade with free-form flying geese wandering among the star floats in the parade. The background is made up of larger tone-on-tone geese in grays and blues with the Pointy Dude border. Click here to see the video. I’ll be teaching at the AQS show in Paducah this year! I can’t wait! As you know, in March I taught a paper piecing class on a cruise in the Caribbean. 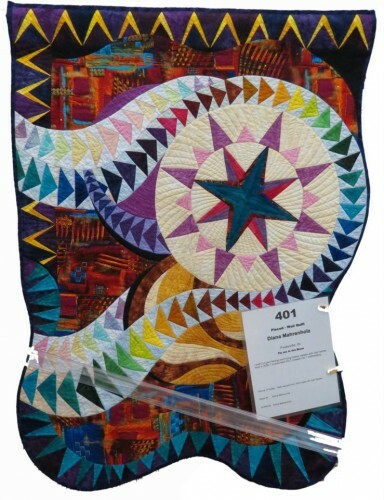 The slide show from the Allure of Paper Piecing Cruise by Stitchin’ Heaven Travel is now posted to You Tube. Here’s the link to it. Be sure to check out their upcoming cruises. It was simply, a blast! 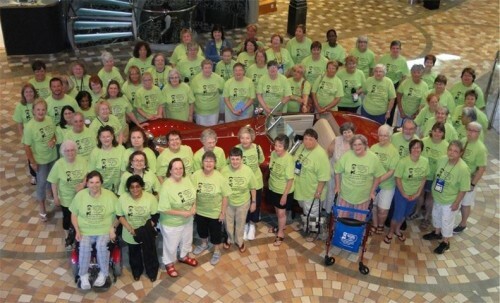 And, here’s a photo of all of us, – in our matching, lime green T-shirts around a really cool car on the ship, Allure of the Seas. Can you find me in the picture???? Yours truly at Fort Lauderdale after boarding the ship. A better view of the ship. 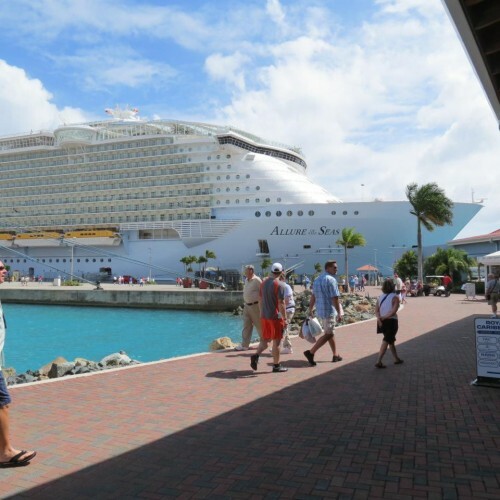 Here we are waiting to dock at Charlotte-Amalie, St. Thomas – 50 knot winds! I’m with Carol Doak, who is also teaching on the cruise and Deb Luttrell, the creator of Stitching Heaven Quilting Cruises, and several of the ladies in the class. And of course I have to share a bird photo with you. 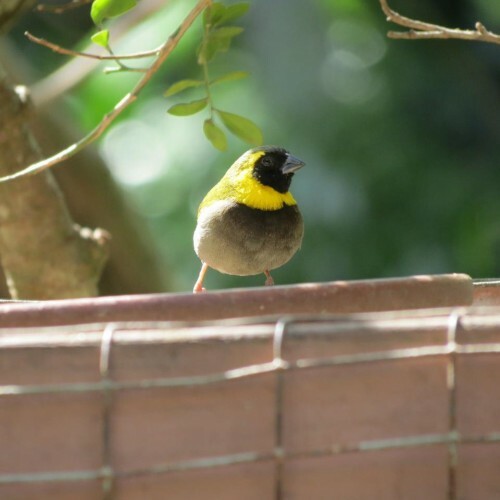 This is a Cuban grassquit seen in a private garden at Nassau, Bahamas. I’ll share more photos when I return. 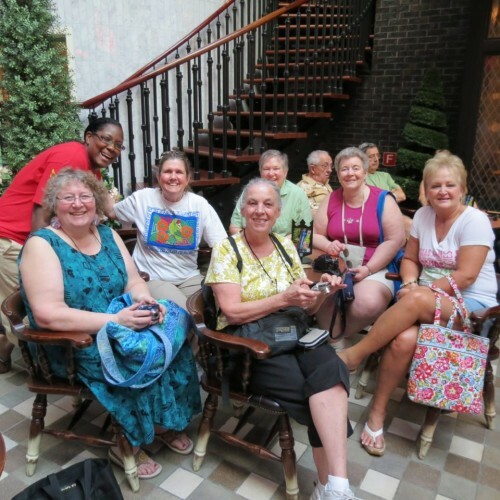 Indiana Heritage Quilt Show and the Caribbean! Having the best time! I’m in the middle of an almost two week long trip. 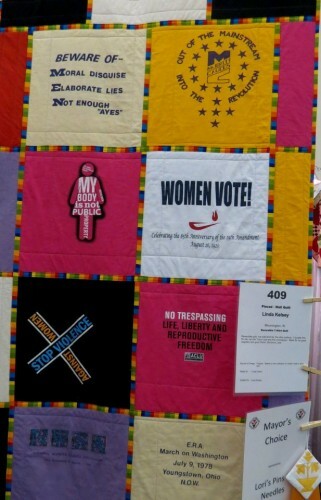 First, I went to Bloomington, Indiana for the Indiana Heritage Quilt Show. 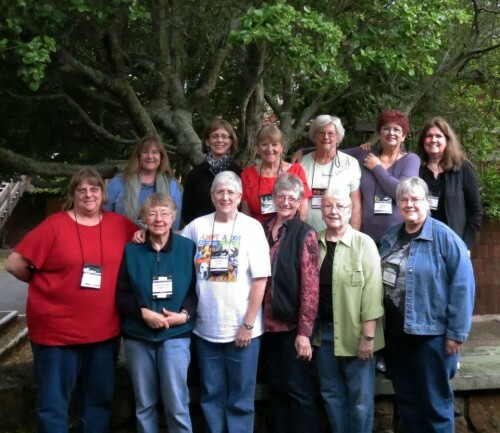 The show was wonderful and my classes were very fun – full of great ladies! Diana Reutter Mahrenholz took my Goose is Loose class two years ago at the IHQS show. 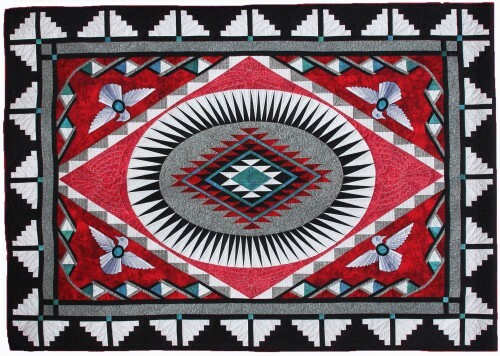 This is her stunning quilt, started in the class. Way to go Diana! 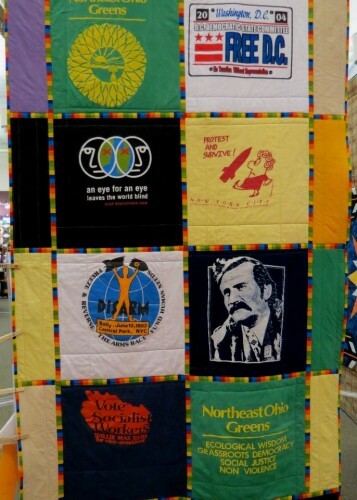 This is a reversible T-shirt Quilt by Linda Kelsey of Bloomington, IN. One side is feminist and the other political. I love it! 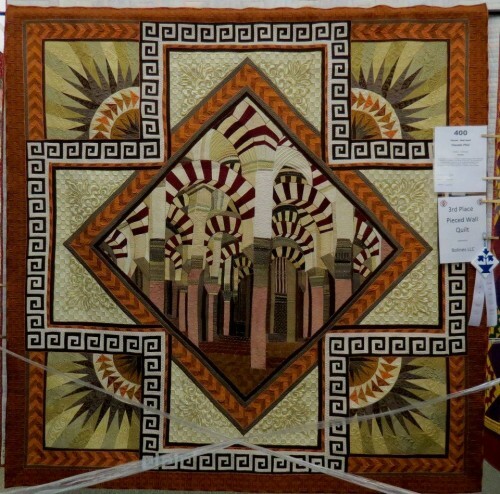 This quilt is called Cordoba, and it’s by Claudia Pfeil, of Krefeld, Germany. 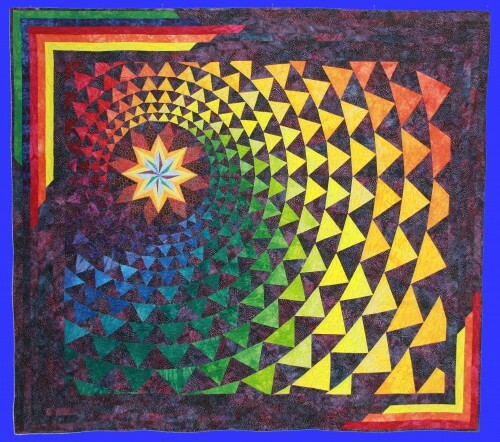 Fascinated by mosaics, Claudia created the center of her quilt from a photo of the Mezquita Cathedral de Cordoba. The building is famous for its horseshoe shaped arches. It is now the home of the Roman Catholic Cathedral. The corners symbolize sunshine and the four corners of the compass. In Bloomington, where I was teaching, the terrible weekend storms went around the city. But much of Indiana and the surrounding region was not so lucky. With all of today’s technology there is little that can be done in the face of Mother Nature at her worst. So sad for the good folks of Indiana and Kentucky. 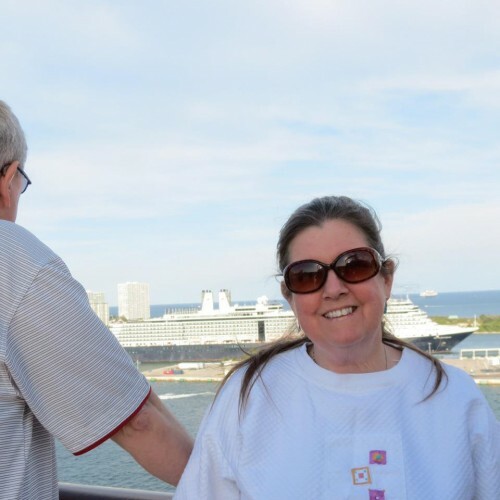 The second part of my trip is – a quilting cruise in the Caribbean! Packing, first for Indiana and then for the cruise, was challenging, to say the least. The cruise is “The Allure of Paper Piecing Cruise” and I’m teaching with Carol Doak, & Eileen Sullivan on Royal Caribbean’s Allure of the Seas 7-night Eastern Caribbean Cruise. Internet access is limited, so I will update you when I return from this fabulous trip. Spiral Galaxy was created by my good friend, Michele Hymel. Not only is she a member of my small group, Designing Women, she works for me on Fridays. 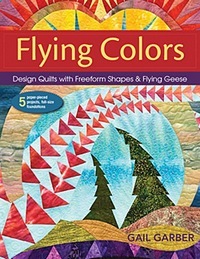 In Spiral Galaxy, Michele wanted to design a a star and a spiral effect using free-form flying geese. 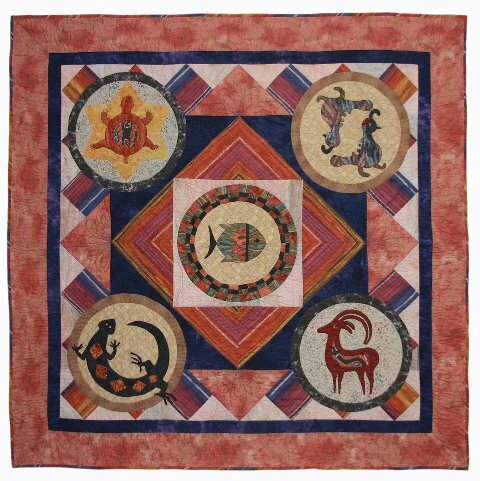 It features commercial batiks and hand-dyed gradations from Starr Designs. I love it!